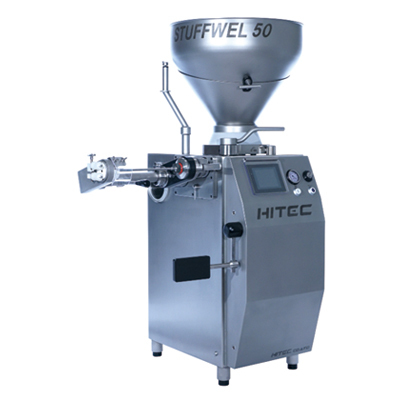 Hitec has developed a new vacuum filling machine and is now selling in Japan and other global markets. 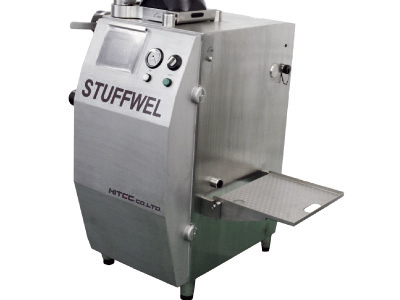 With extreme ease of use and functionality the STUFFWEL 50 has been exceeding expectations. With advanced engineering Hitec was able to control cost of manufacturing without sacrificing Hitec quality and performance. 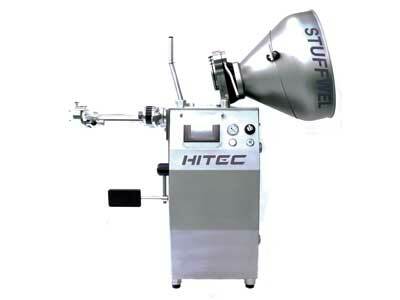 These cost savings will allow Hitec to offer a competitive sales price. 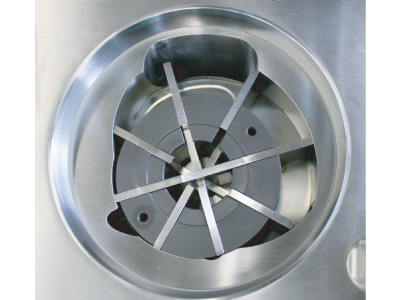 Due to the new type vane pump, it is accomplished to convey products without damaging such as crushing and breaking into pieces. 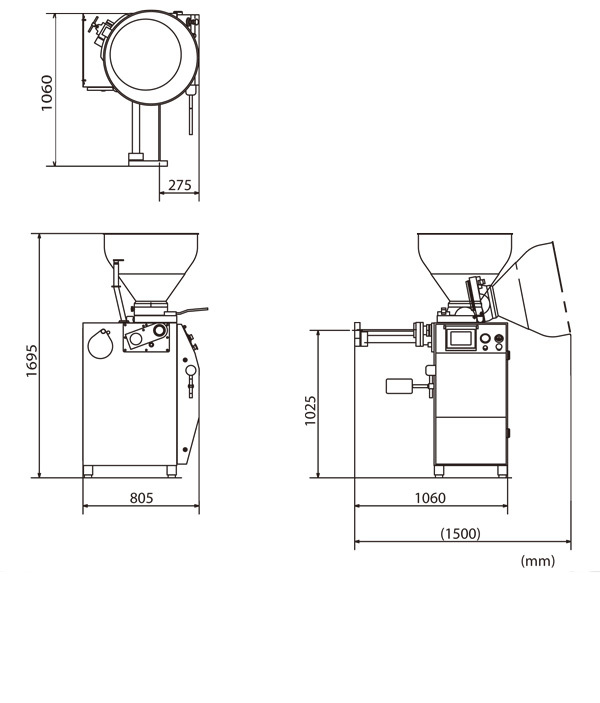 Hopper is internally equipped with Screw Feeder. 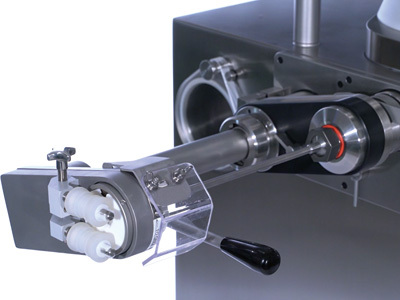 It makes to use up all meat without waste.Also, since Hopper is foldable, it is easy and simple to wash.
By installing a simple detachable twisting device, it is possible to stuff equal weight sausage one by one. 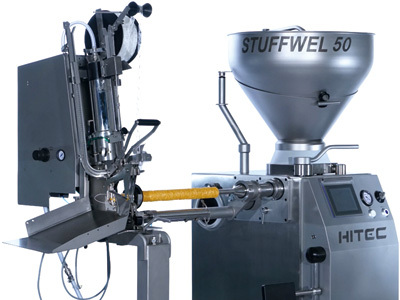 The STUFFWEL 50 can produce Vienna Sausage to Frankfurter Sausage not only into natural casings but also artificial casings with a wide range of sizes. 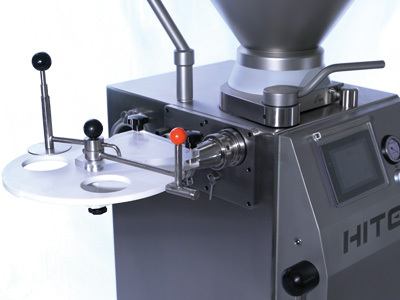 Connecting with a clipper machine, continuous production of bigger sized sausage with equal weight can be done. Such as bologna and Chubs and larger diameter products. It is possible to attach footstep optionally.